We have the best quality surveillance cameras for outdoors. Our devices monitor in compliance with standards security requirements. They can be installed in different areas of industrial zones, factories, hospitals or companies. They serve as an electronic monitoring witness in processes and operations. They save lives by supporting security in the processes. They maintain registry of personnel and equipment. We have original and spare parts and direct contact with the manufacturers of the best brands and equipment, with the manufacturers of the best brands and equipment. XPPTZ-2712 are innovative integrated positioning systems that meet stringent explosion proof requirements. 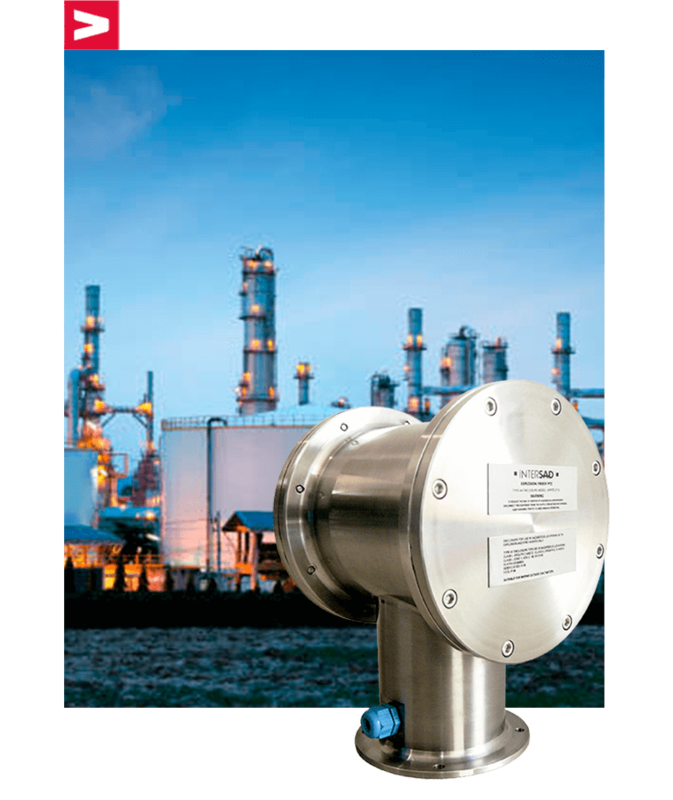 The XPPTZ-2712 not only combine a receiver, pan/tilt, and enclosure in a single, easy-to-install system, but also includes an Integrated Optics Package (IOP). The Integrated Optics Package contains an autofocus camera and lens module with conﬁgurable features. XPPTZ-2712 features a high-resolution day/night camera with a removable infrared ﬁlter and a 100X zoom lens (100X optical, 10X digital). 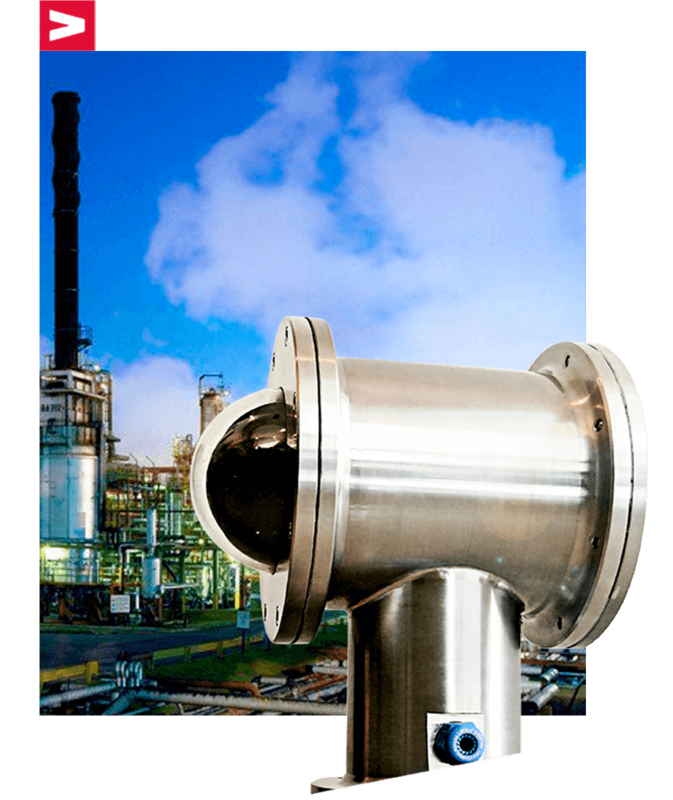 The electropolished 316L stainless steel construction makes the XPPTZ-2712 ideal for all kinds of environmental conditions including marine applications. The system has an absolute operating temperature range of –76° to 140°F (–60° to 60°C). Within two hours after power-up, the entire unit can de-ice and be operational from a temperature of –13°F (–25°C). 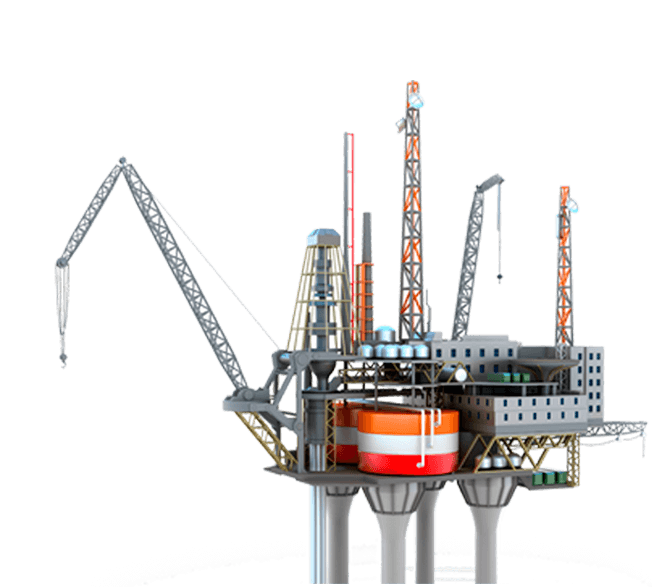 The security that your company needs is covered with the installation and maintenance of our Offshore products. Electropolished 316L Stainless Steel Construction. Upright or Inverted Operation. 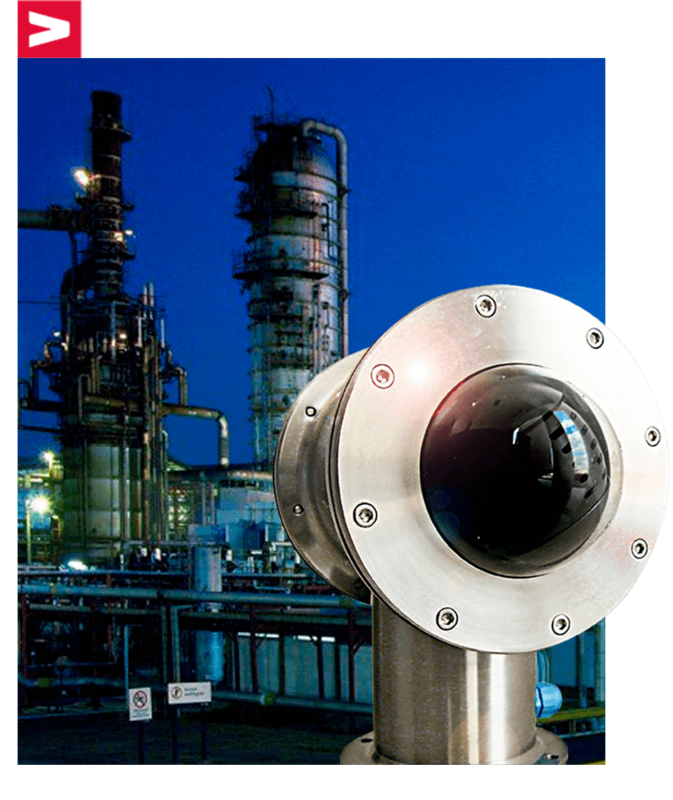 Receiver, Pan/ Tilt, and Enclosure with an Integrated Optics Package (IOP). 2 Autofocus, High Resolution Integrated Optic Packages 100X Day/Night, 128X Wide Dynamic Range, Motion Detection, and 500 TVL Horizontal Resolution. Multilingual On-Screen Menus. Password Protection. Conﬁgurable Camera Settings. On-Screen Compass, Tilt, and Zoom Display. Variable Speed Pan: 0.1° to 40°/second with Proportional Pan. 360° Continuous Pan Rotation. Tilt Range of +180° to –180° from Horizontal. Preset Positioning, Patterns, Multiple Scan Modes. Designed for Minimal Maintenance. Built-in System Memory. Software Update and Setup Through Remote Data Port (IPS-RDPE-2). Password Protection to Prevent Unauthorized Changes to the System. Model: SSM2065NW. Signal System: NTSC. Scanning System: 2:1 Interlace. Scanning Frequency (H): 15.734kHz. Scaning Frequency (V): 59.94Hz. Image Sensor 1/4¨ Interline Transfer CCD. Sync. System: Internal/Line-Lock. Total Pixels Number: 811(H) x 508(V) 410K. Effective Pixels Number: 768(H) x 494 (V) 380K. Horizontal Resolution: 500 TV line (Color), 570 TV Line (B/W). Video Output Level: 1.0Vp-p (75Ώ, composite). S/N Ratio: 50dB (AGC off, Weight On). Digital Zoom Ratio: 10px. Lens: 100x Optical Zoom (f=3.8~38mm, F1.8 Min. Illumination: Color: 0.7 luz@F1.8. 0.005 Luz (Sens-up), B/W>0.02 Luz@F1.8 Day & Night System: Electronic Sensitivy-up (DSS), ICR (AGC type). White Balance: Auto/Manual (Red, Blue Gain Adjustable) OSD Menu: On/Off. Privacy Zone: On/Off (8 Zone Settings). Electronic Shutter Speed: 1/60sec~ /120,000sec Preset: 128 positions with labels Swing: 8 swings (Speed Selectable: 1°/sec; 180°/sec). Pattern: 4patterns (about 5min/pattern) Group: 8 groups (max.20 entries) Panning/Tilting Speed: Manual:1°~360°/sec; Preset: 360°/sec; Swing: 1°~180°/sec Power Voltage: 24VAC Dimensions: Dome: 124(Ǿ); Housing: 187 (Ǿ)x306 (H)mm Resolution (1024 x 768). Input Voltage 24 VAC or 100 to 240 VAC, 50/60Hz Input Voltage Range +10% Power Consumption Maximum 60W (120VA) per system Heater and Defroster Microprocesor controlled Electrical Connections 6-foot pigtail wire harness with connections for power, video, data control, alarm inputs, and auxiliary outputs. Auxiliary Outputs 3 N/O or N/C relays, 32 VDC, 0.5 A. Relay 3 is allocated specifically for an external washer (not su). UL/ CUL LISTED. UL/cUL Hazardous Locations Listed per NEC Division and Zone requirement. Class I, Zone 1, AEx d IIC, Ex d IIC, T5 AEx tD 21 T105°C. C-Tick. S Mark for Argentina. Meets NEMA Type 4X standards. Lloyd’s Register Type Approval: Marine, offshore, and industrial installations for use in environment. We guarantee your safety and that of your industry with 19 years of experience in critical missions with successful results in America, Europe and the Middle East.